Wedding planning is a uniquely special experience for a couple and the family, and it's not at all easy! A wedding planner can help to take the stress and be a saviour in this case. From finding out the perfect location to designing personalized wedding themes, as well as maintaining cultural and religious sentiments. Wedding planner is responsible to bring logic to emotional laden decisions. Destination weddings are becoming increasingly popular and something different from the standard, cookie-cutter weddings as couples decide to forgo the traditions and rituals of getting married in the bride’s home town and choose to exchange their vows on a tropical sun drenched beach instead. It’s a big YES!! for the Couples who want skip the processional, the receiving line, the speeches, and the basic process and are just focusing on putting on the dancing and enjoying themselves with their partner and the closed ones. 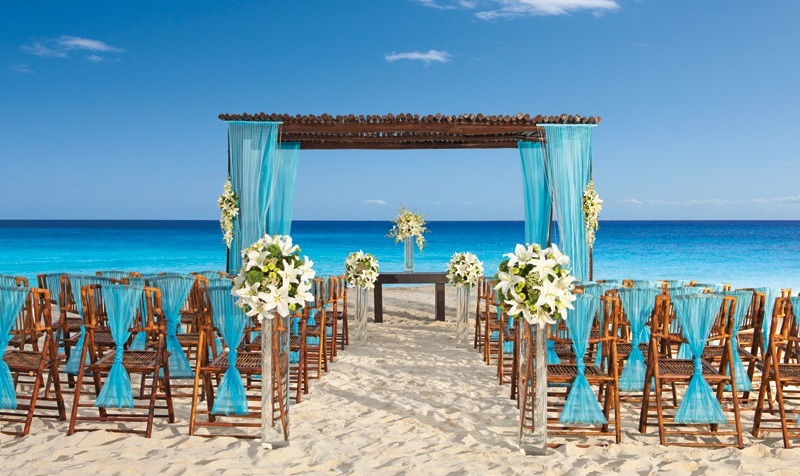 Wedding planning may be easier with a destination wedding if you opt for an all-inclusive package. You won’t have to choose between endless suppliers, and negotiate on everything from the catering to the music as all this will be done for you by the wedding coordinator at your destination. 1. Interesting themes: Destination wedding allows you to have unique scenery as a stunning wedding backdrop; you can incorporate local traditions, decorations, and cuisine into your ceremony and reception. There are plenty of destination wedding ideas to make your wedding unique. 2. Relaxed: A destination wedding tends to be more relaxed and less formal than a traditional wedding at home. Having a destination wedding eliminates a great deal of stress since the wedding is far away and only a limited number of people can attend. 3. Uncomplicated: Destination weddings can be so much simpler to plan and execute than close to home weddings.. The reason it is simpler is that many destinations have pre-designed wedding packages that are created by professional wedding planners. The packages include all of the components a beautiful wedding requires, and the bride and groom need only make a few decisions and the rest is taken care of for them. 4. Intimate and personal celebration: The celebration includes the couple and handful of a very close friends and relatives. There is no pressure of inviting work colleagues, distant cousins, or people you barely know. 5. Much Cheaper: Generally a destination wedding works out cheaper than a home based wedding due to the smaller guest list and the reduction in expensive wedding customs and items. The couple can customize everything as per the requirements.